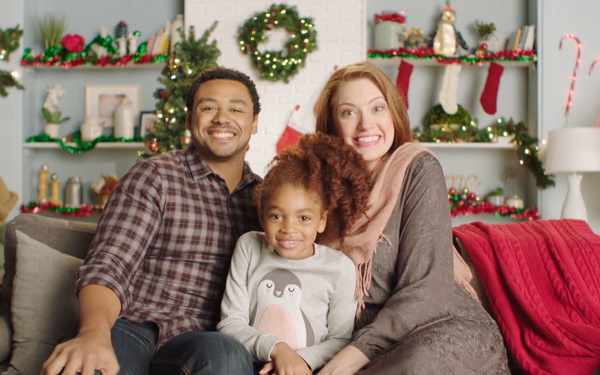 Kohl’s is dashing into the holiday season with a revamped version of its “Give Joy, Get Joy” campaign, focusing on the way people can earn plenty of Kohl’s cash for themselves while getting gifts for everyone else. Deals are already underway, including a one-day sales event showering shoppers with a fan favorite: $15 in Kohl’s Cash for every $50 they spend. The Menomonee Falls, Wisc.-based chain says it will offer that incentive again the week leading into Black Friday, along with specific product rewards, like giving shoppers $75 in Kohl’s Cash when they buy a $250 Dyson V7 Animal or $15 when they buy an $80 Keurig Crock-Pot Express. It will welcome shoppers into the big weekend with doorbusters, including $400 Canon EOS Rebel T6 DSLR cameras, purchase of which will earn shoppers $120 in Kohl’s Cash, and a $329 LG 49” 4K smart TV, for which they’ll get $90 back. It’s also offering new holiday rewards in both its existing loyalty program, Yes2You Rewards, as well as the new Kohl’s Rewards program testing in such markets as Austin, Texas; Buffalo, N.Y.; and Minneapolis. Free photo ops with Santa are on tap in 1,100 stores, and a co-branded FAO Schwarz experience will allow customers to share Santa shots immediately with family and friends. Other social media experiences include the return of the Kohl's Cash emoji on Twitter, new Kohl’s Cash GIFs, a new “snow globe” Pinterest Gift Finder (you shake your phone to find more options) -- and in New York, an interactive experience at the Oculus train center. Plans call for that event to include a larger-than-life snow globe and the Pinterest gift finder. The retailer is also reportedly introducing a new holiday ad, created by the Martin Agency, starring a fictional “Westworld”-style cowgirl on her gift-giving rounds. The department store, scheduled to release its latest quarterly results later this month, has impressed observers with the progress it’s making on customer experience initiatives, but some note that competition for Middle America’s spending money continues to be brutal. Kohl's reported its fourth consecutive quarter of positive same-store sales growth back in August, indicating that such initiatives as its partnership with Amazon, private label offerings and national brand strategy are appealing to more customers. “But we contend that nearly all retailers are taking such customer-driven pivots and that these efforts should allow Kohl’s to defend, rather than grow its market share,” writes Jaime Katz, an analyst who follows the retailer for Morningstar, in her most recent report.